A post dedicated to all computer lovers. 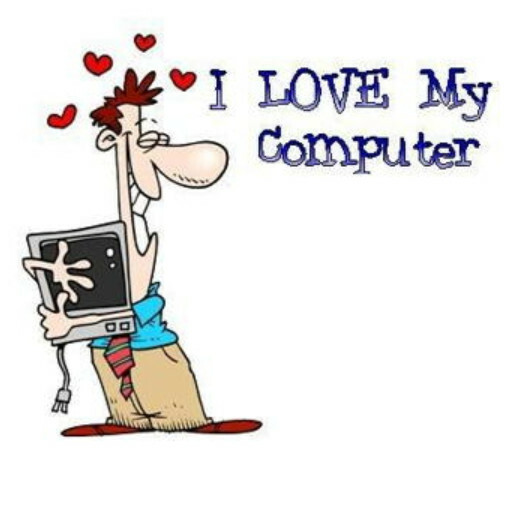 Computers versus girlfriends, some reasons why computers are better than girlfriends. Your computer never wants to be taken out for dinner, on the other hand your girlfriend does and you know what can happen if you don’t. Your computer holds many valuable bits of information about your past and still likes you. No matter how ugly or bad looking your computer is you can always show it to your friends, while this might not be the case with your girlfriend. She doesn’t talk back to you. At best she beeps or gives you the silent treatment. A computer doesn’t mind if you are using another computer or computers, but in case of a girlfriend you can imagine the consequences. With a girlfriend its always your fault, while with computers you don’t have to say even sorry. A computer never forgets your birthday. You can always turn off a computer. She provides you with more information than your girlfriend will ever know. Computers never ask you to call them in the morning. You can shut her down whenever you get tired of her. Computers are affordable and cheap. Troubleshooting your computer is much easier than your GF. You cannot delete some data from a girlfriend rather they forget exactly what they want to forget and when they want to forget. Finally, if you don’t like your computer, you can always trade it in for a new one. As with many of my pastes, the intended is to be funny and not to be taken too seriously.